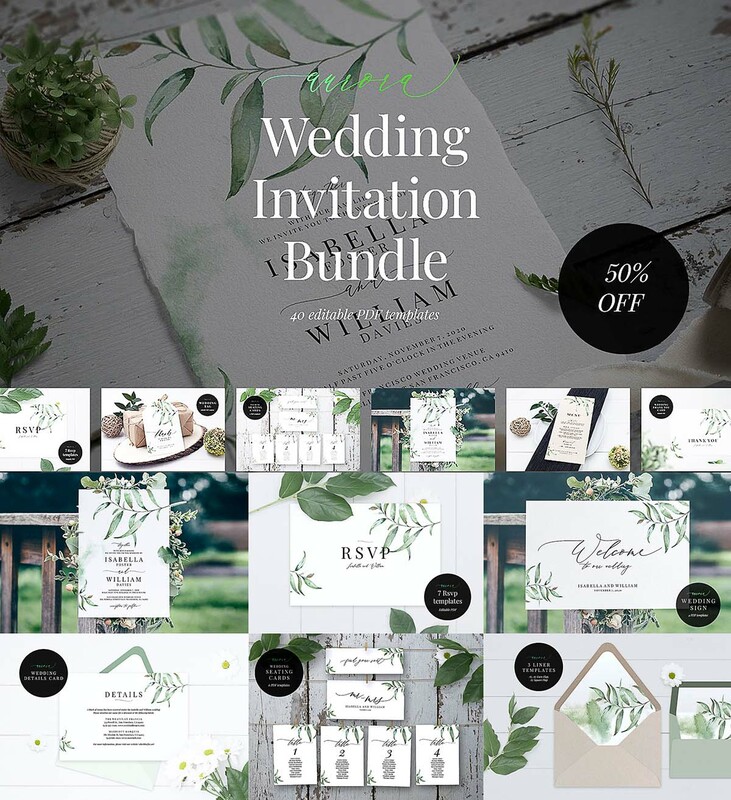 This Wedding Invitation Bundle includes 40 editable high resolution Templates (digital PDF files for printing at home or in a local printing shop). This is a quick and easy solution which you can use to create a simple and elegant invitation. You can edit and print as many copies as you need. Tags: diy envelope, editable card, greenery wedding, invitation wedding menu, menu card, printable, rsvp, seeting plan, thank you card, wedding card, wedding design, wedding invitation card, wedding template. Very nice bundle. Thank you!